Denne fantastiske feriebolig med terrasse og Internet er beliggende i kvarteret Malagueta med udsigt til havnen og kun 300 meter fra stranden. Ferieboligen er beliggende på 10. sal i en bygning med elevator i kvarteret Malagueta kun få minutters gang fra stranden. Området hører til blandt Malagas mest eftertragtede. Med sin fantastiske beliggenhed og udsigt giver denne smukke nyrenoverede feriebolig dig de bedste betingelser for at nyde en perfekt storbyferie i hjertet af Malaga. Ferieboligen indeholder en dejlig stue med sofa, TV-fladskærm og et åbent køkken samt adgang til den charmerende terrasse med udsigt over Havnen Muelle Uno, Katedralen og borgen Alcazaba. Soveværelset tilbyder en dobbeltseng, klædeskabe og direkte adgang til badeværelset med bruser. Fra soveværelset er der også adgang til den smukke terrasse. Vi tilbyder aircondition, gratis Internet samt parkering for 15 € per dag. Amerikanske køkken (Induktion), Køleskab, Mikroovn, Vaskemaskine, Tallerkener/Bestik, Køkkenredskaber, Kaffemaskine, Stegepan, Brødrister og Kedel. 1 TV, 10. etage, elevator, terrasse 8 m², strygejern, internet (wifi), hårtørrer, 45 m² boligareal, aircondition (varm/kold), aircondition, Garage til i bygning tæt på, 1 fan. It is in a good location ,very clean,small but ideal for 2 people. Well equipped apartment. Fabulous views and great location. Staff at Solaga office very helpful. Have key keeper at location on our arrival. The apartment was small but comfortable and everything we needed was provided. Loved the balcony watching the world go by. Small but perfectly formed. Spotless, central to marina , beach and town - everything within walking distance. The most fantastic view of the city! Pour la 3° année consécutive nous avons passé 2 excellentes semaines. Appartement petit mais très bien équipé et idéalement situé. Calme, très confortable, vues spectaculaires sur le port et la ville. Accueil de la propriétaire extrêmement satisfaisant: très aimable, disponible et compréhensive. Satisfaits aussi des relations personnalisées avec l'agence. Nous avons réservé pour 2019. Owner Susana was extremely helpful with her information on Málaga and especially the local restaurants. I really don't know. Our only problem was that is was not possible to to stall our bikes. When we arrived at the apartment we were met by a charming lady who was already there waiting for us, and took the time to explain how everything worked and directed us to the nearest supermarket (less than two minutes walk away). The apartment is compact and the kitchen facilities are a little sparse with only a two ring hob and small microwave. 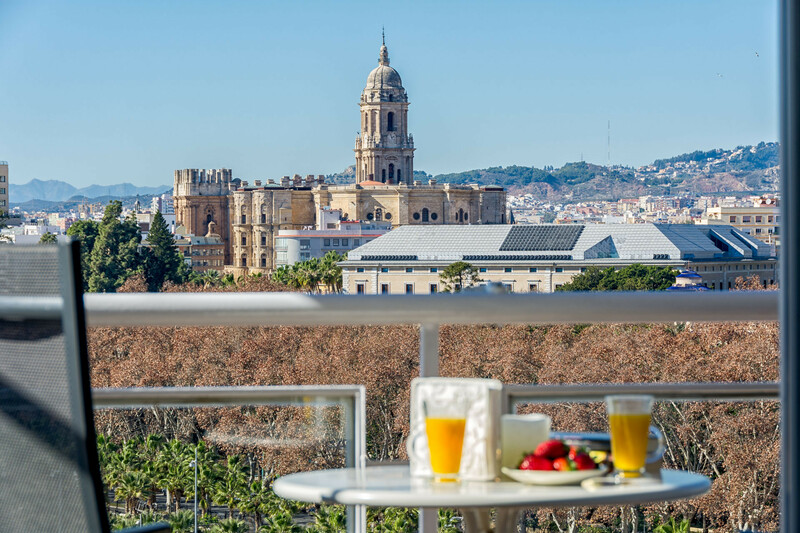 However, we found it very comfortable and the sheltered balcony has spectacular views of the port, castle, cathedral and most of the city as well as beautiful sunsets. The views are particularly impressive at night when all the landmarks are illuminated. 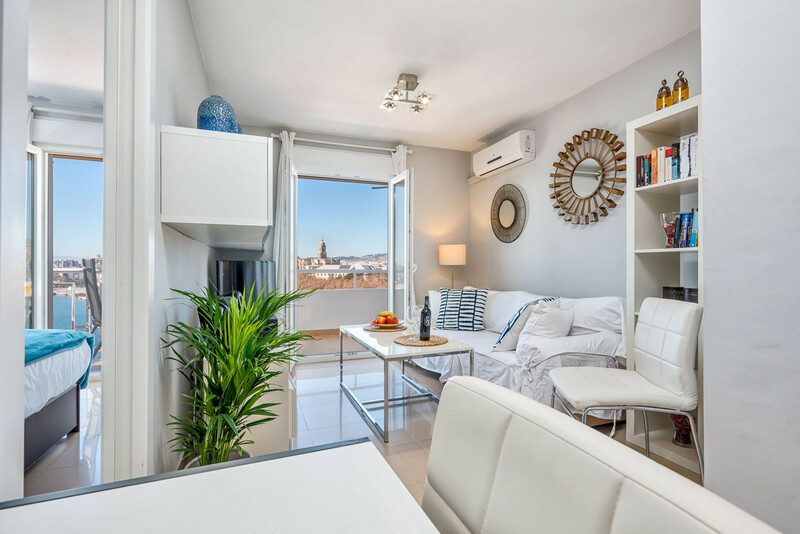 We found the location to be ideal with the restaurants and shops of the port right on the doorstep and all the city museums, galleries and other sights within reasonable walking distance. 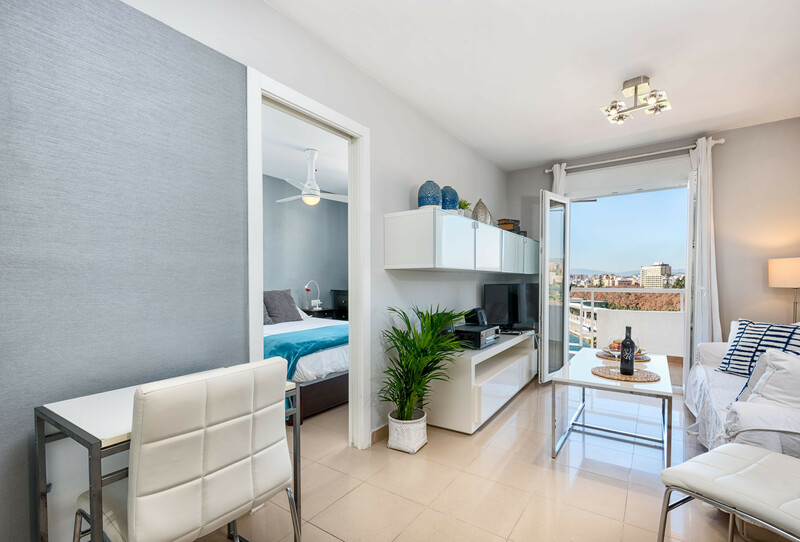 Malaga is a clean, welcoming and fascinating city with a wealth of history and culture, and if we return we would definitely choose this apartment again. 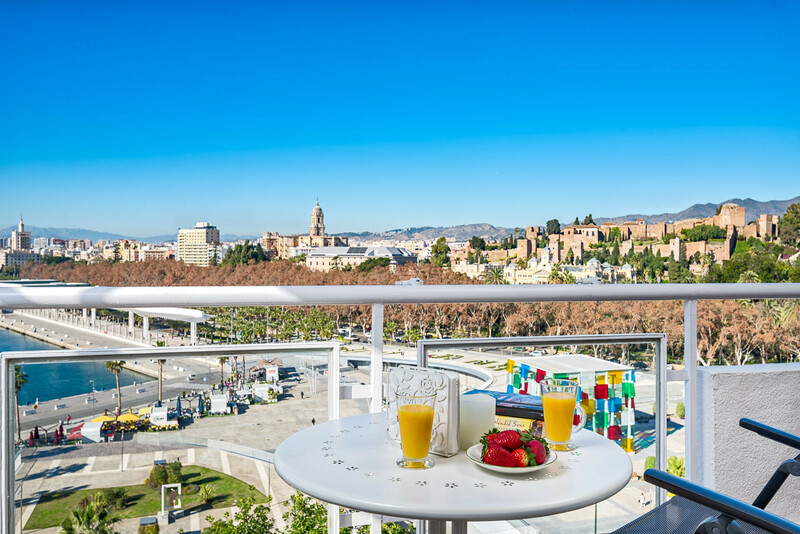 Great location with possibly one of the best views in the whole of Malaga. No problems at all, owner greeted us early, due to having an earlier flight, which was most helpful. Apartment is quite small, but perfectly acceptable for a short stay for 2 people. The apartment was compact but fine for two people. 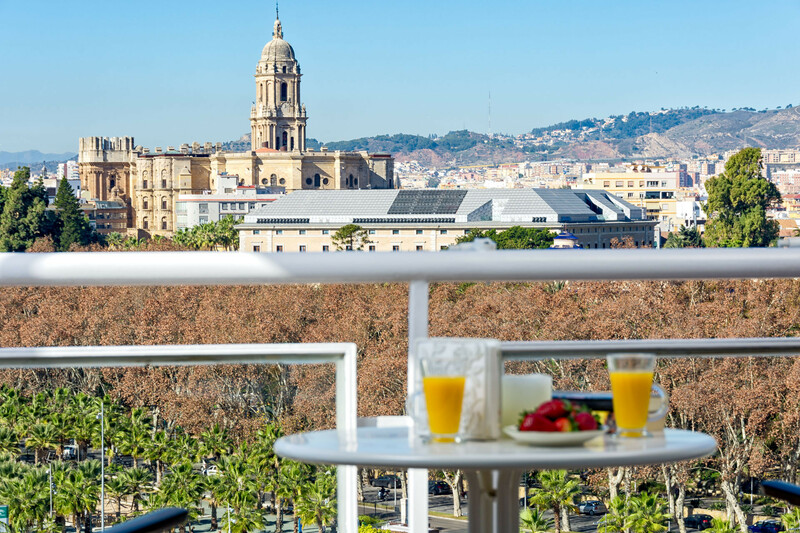 It was spotlessly clean, in a good location for shops, restaurants and walking into the city centre, but the icing on the cake was the balcony with wonderful views by day and night. Incorrect Information From Solaga Regarding Security Deposit Payment. Only 1. Set Of Towels Provided. Dear Derek, We're glad you enjoyed your stay at apartment Susana. 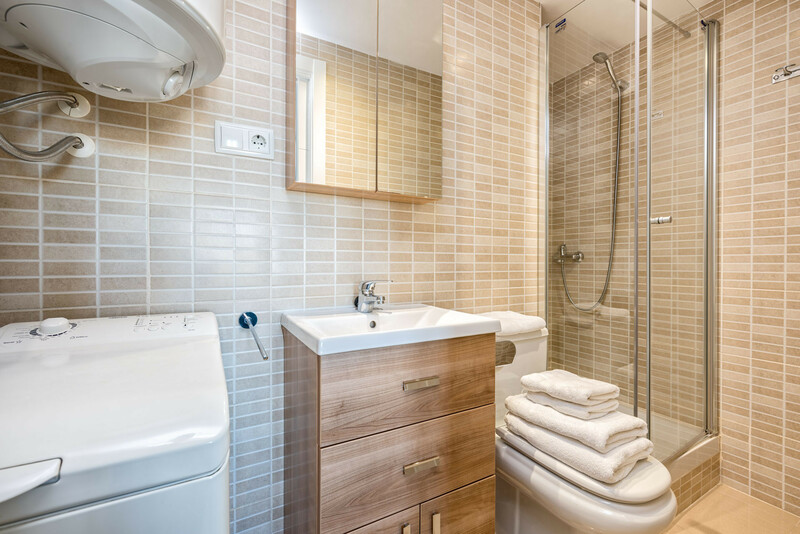 We provide one set of towels (1 hand + 1 bath) per guest and can provide more upon request. We apologize if there was an oversight and towels were missing. We could have gladly provided them had you informed us. 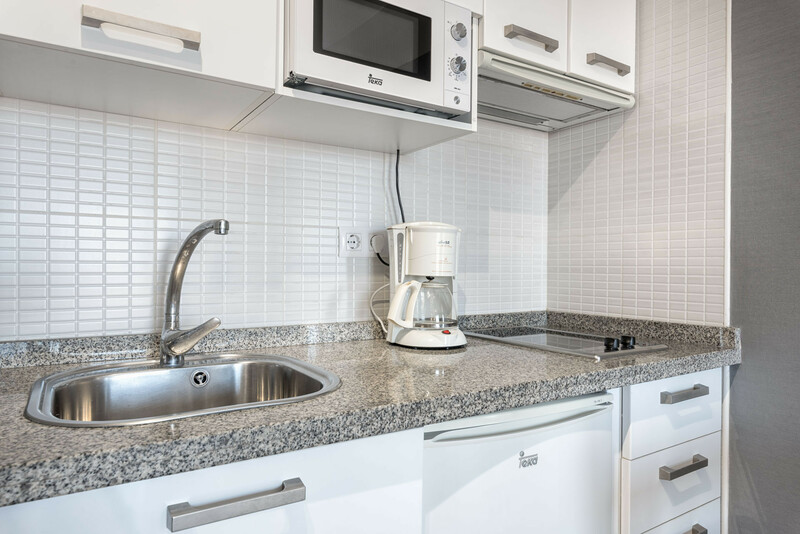 A refundable damage deposit is a common practice in the holiday rental business. As such it was written on the checkout page on our website when making your reservation as well as the following confirmation and our FAQ page. We regret if there was a misunderstanding regarding the deposit but all efforts are made to inform our guests of the conditions of rental. Nevertheless, we hope to have the opportunity to welcome you back to Malaga in the near future. Perfect apartment in a perfect location. Spring break including Semana Santa. The views, always something going on. The afternoon sun and evening meals on the balcony. The proximity to the harbour (Muelle Uno and Muelle Dos) the beach and a supermarket. Only a 5 minute walk from the airport bus (line A) stop. 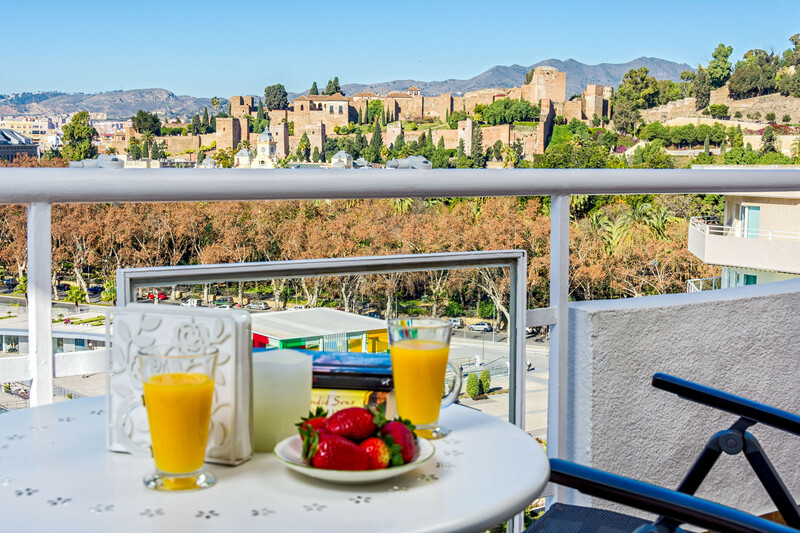 The ability to walk, on the level to the Old Town, Alcazaba and the other tourist hotspots, even the bus and train station if you are not in a hurry. Must not forget the excellent WIFI. Nothing major other than we would have liked some egg cups, microwave dishes to heat food and basic instructions for the washing machine, for us non Spanish speaking guests. Loved this apartment! location is perfect. The apartment is very modern and a lovely furnished balcony with great views. Contact with Solaga and Susana the owner was very good. Would definitely book this apartment again. It had everything we both needed for the week. Can´t think of anything, we were very happy with the booking and the meet and greet arrangements. Balcony with comfortable chairs and table bathroom with excellent shower efficient wi fi well equipped kitchen and bathroom with good supply of consumables. Friendly and efficient host on arrival and departure. Location, location, location! 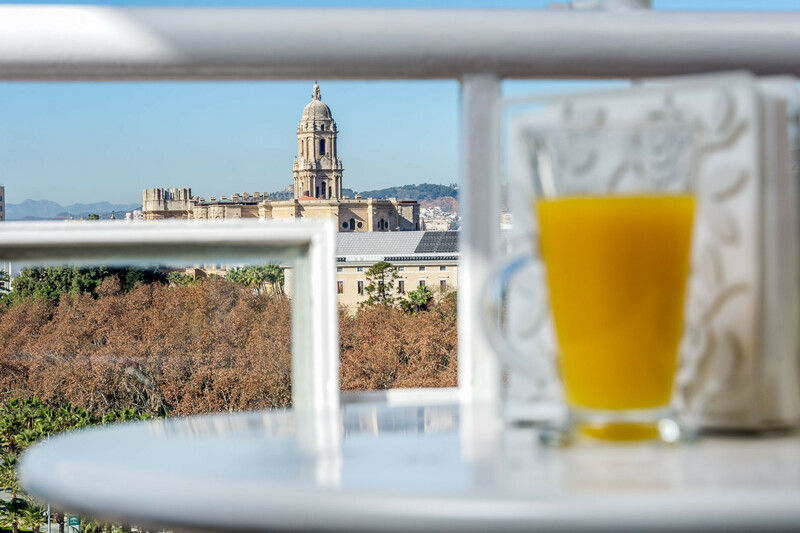 Very good location: it takes 10 minits to walk Malaga city (El Corte Ingles for example). View is very very beautiful and there is a balcony too where we enjoyed amazing harbour view. We slept very well (tenth floor)! Very near was good and cheap restaurants and so perfect cafeteria where we had our breakfast in every morning and where we bought our hammon iberico too! :) The only so good thing is that it's a little bit small apartment but we managed there well: two small rooms with kitchen and bathroom where was washing machine for clothes too (very big plus). We had wonderful stay at Susana! The apartment is comfortable, very clean and has everything you need for a great stay! The view is the jewel in the crown! We were met very efficiently and we found the whole experience super! We hope to return here next year! 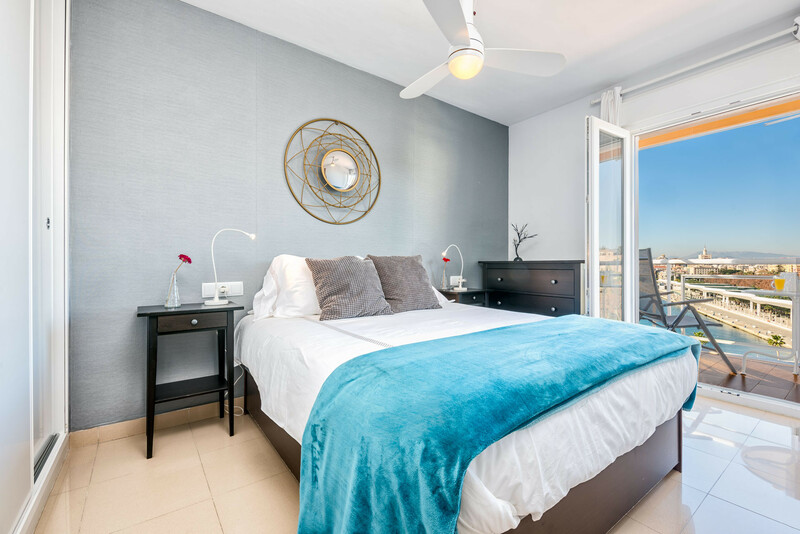 Apartment has a super location, a few minutes from Malagueta beach, promenade, port restaurants and bars. Town centre is ten minutes away. Inside the apartment is spotless and balcony with sun from mid afternoon and the best view we have ever experienced. Excellent apartment overlooking the Port. The views from the balcony are fantastic and as its west facing you get lovely evening sun. 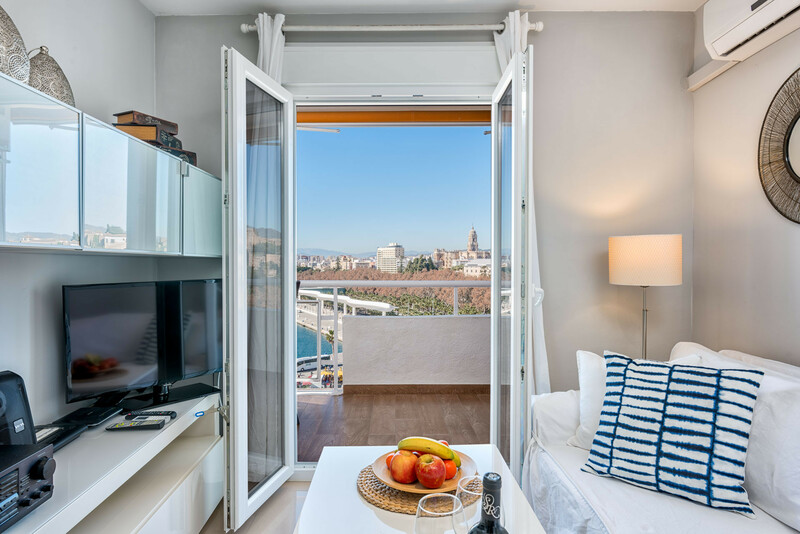 The apartment is well situated being very close to La Malagueta and all the beach facilities. The centre is only a 10 minute stroll away. Joachim was an excellent host and was very helpful. Excellent apartment, clean and well-equipped with a large private balcony which has superb views. Airport bus terminus is 5 minutes walk from the apartment. 10 minutes lovely walk to Old Town. Beach, restaurants and small supermarkets are within a few minutes walk. Small but perfectly formed. 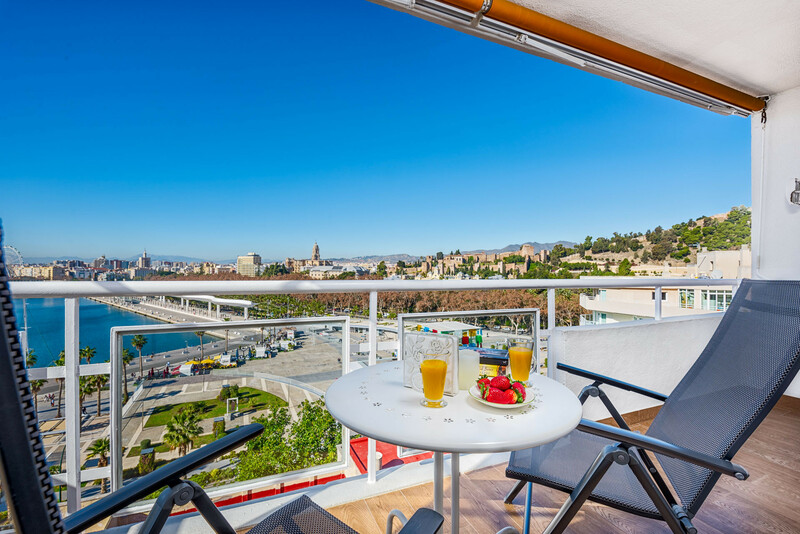 This is a fantastic apartment with possibly the best view in Malaga! 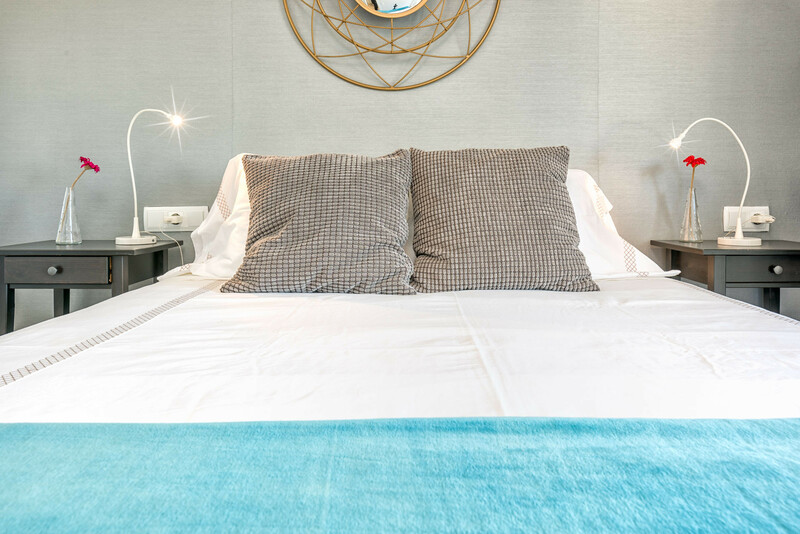 Spotlessly clean with everything you need for a perfect holiday stay. Within walking distance to beach, port and central Malaga! Susanna is a lovely lady, very welcoming and nothing was too much bother. Definitely will return in the future. Buenos días El trato por parte de los propietarios magnifico. El apartamento es tal cual aparece en las fotografías. Las vistas son impresionantes y la ubicación es perfecta. Muy recomendable. 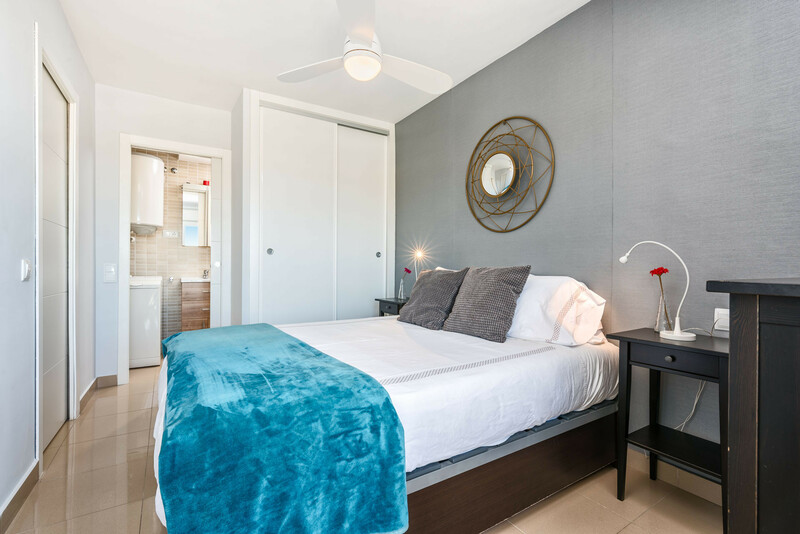 We booked this apt for a weeks visit during carnival week through Solaga and then afterwards contact was with the owner Susana, everything was excellent with both parties , paid a deposit to Solaga then final payment to Susana when we arrived. 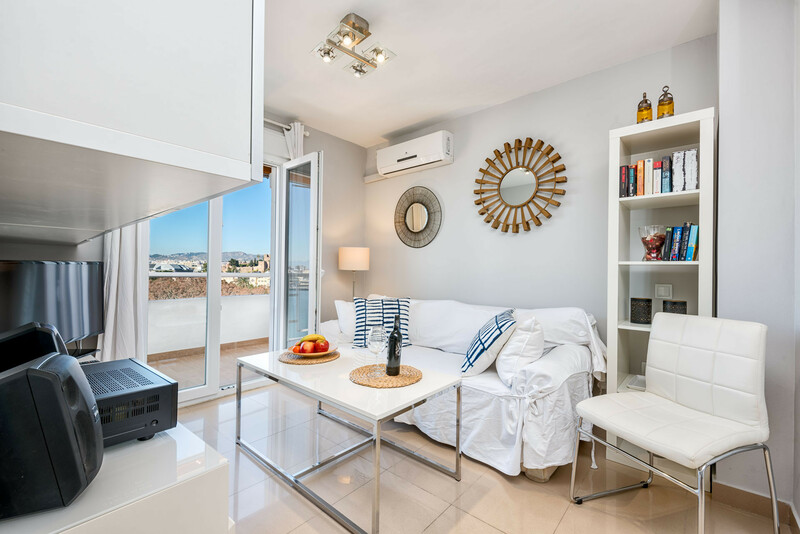 This lovely apt has everything you would need for a lovely visit to Malaga. The views from this 10th floor apt are amazing it also has a very good sized balcony with table and comfortable chairs. Inside it is finished to a very modern standard and you just know Susana and her husband are very proud of it. We would most definitely return!! 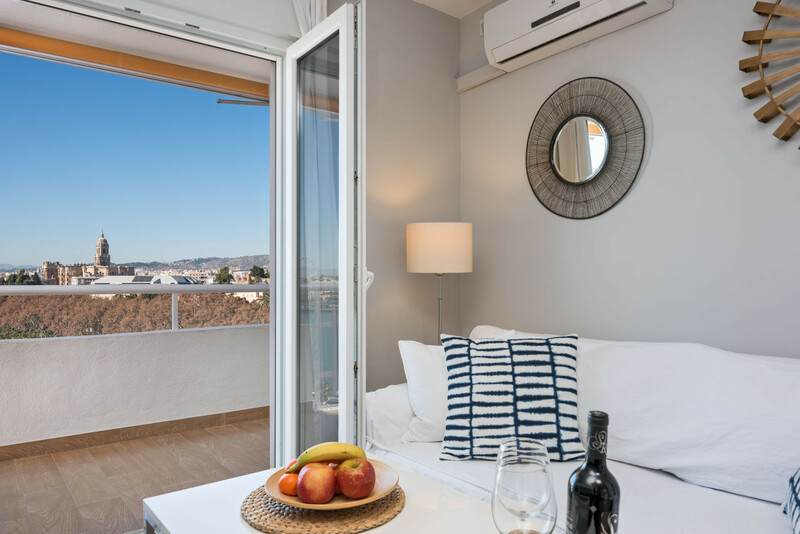 We usually stay in the city but it is only a short walk away the bonus with apt Susana is you have the new harbour below with plenty of restaurant choices and also the beach behind you. Thank you Susana, your apt was perfect for us. 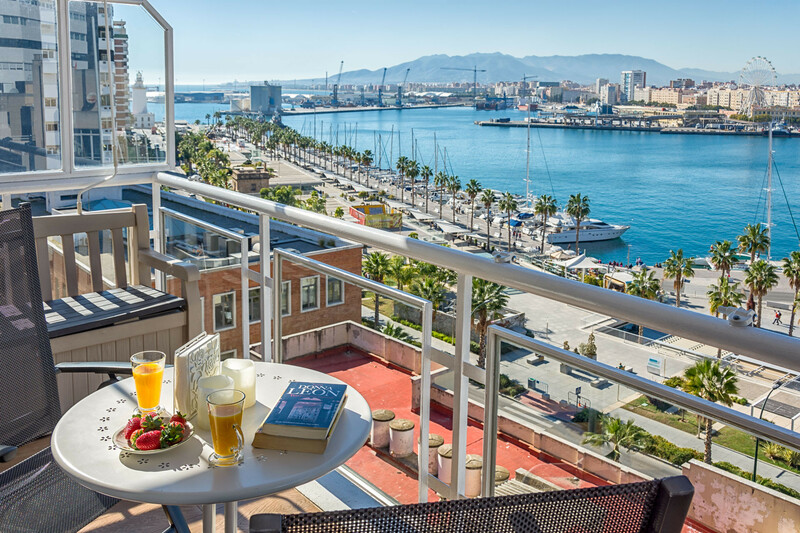 Excellent apartment overlooking the Port. The view from the balcony is fantastic. 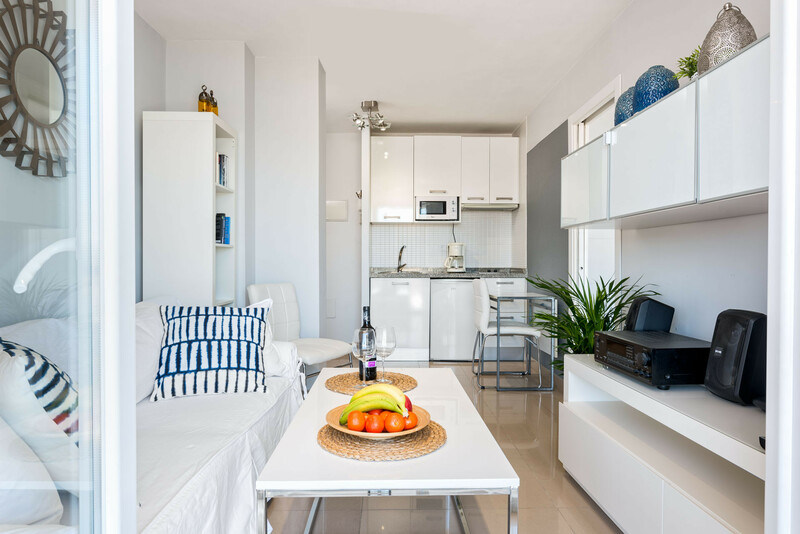 The apartment (Susana) is excellent and perfect for 2 people. It is very close to La Malagueta and all the beach facilities. The centre is only a 10 minute stroll away. 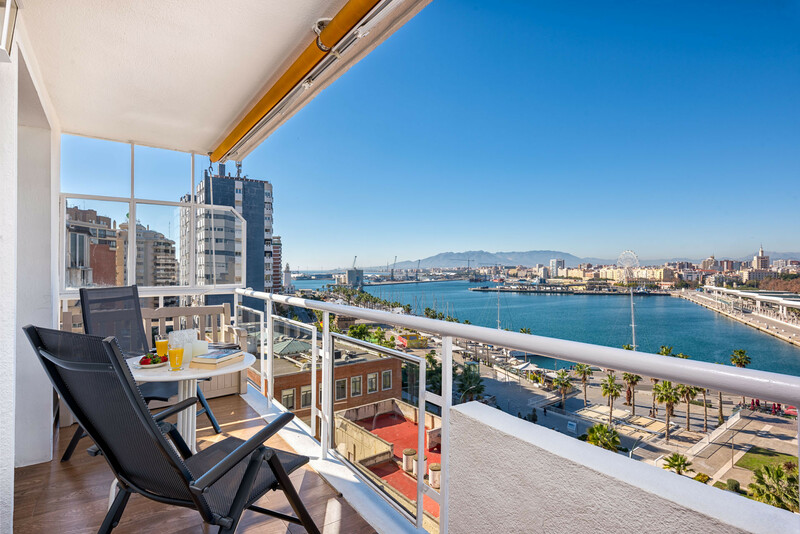 Excellent apartment overlooking the Port. The view from the balcony is fantastic. 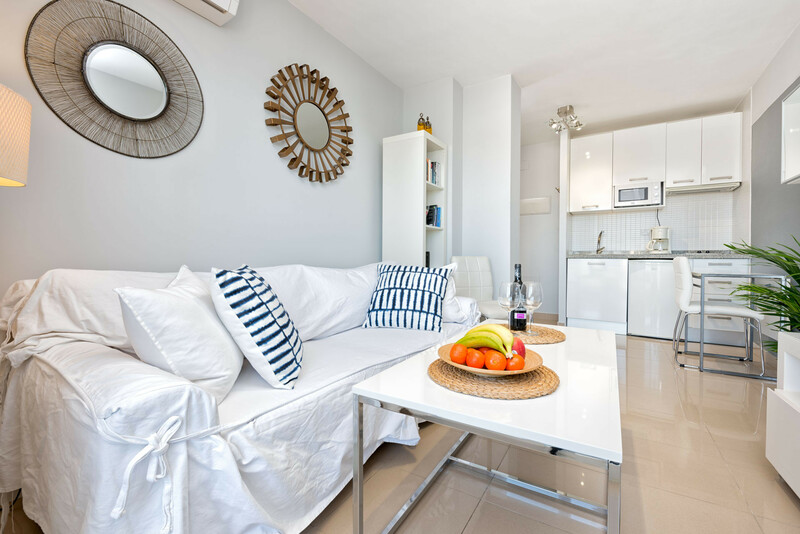 The apartment (Susana) is excellent and perfect for 2 people. It is very close to La Malagueta and all the beach facilities. The centre is only a 10 minute stroll away. The contact to Solaga was very kindly and helpful. I will come back again! We have just returned from our 3rd holiday with Solaga . 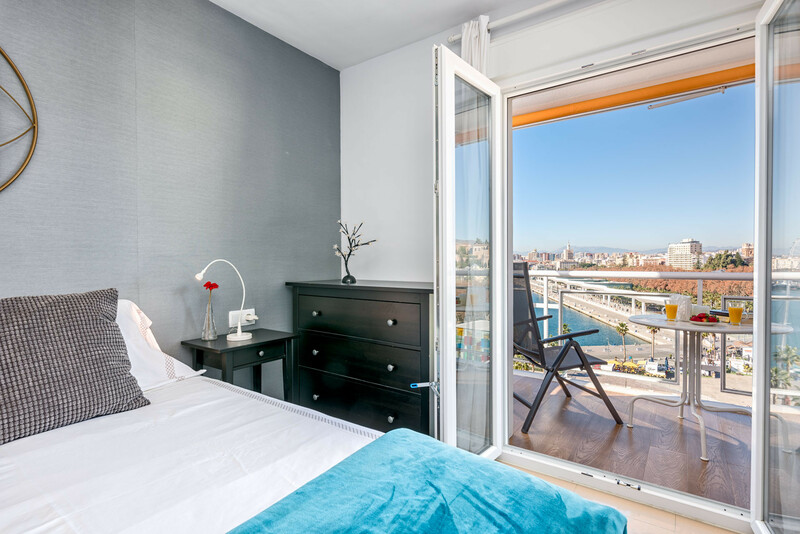 We stayed in apartment Susana, perfect for 2, clean & comfortable & views to die for. Solaga are brilliant to deal with, prompt replies, & very efficient on arrival. We will certainly use them again. Our apartment was perfect. Overlooking the marina. Close to the beach and City centre. We stayed there for 2 weeks in August 2015 and enjoyed every minute of it. Going again to the same apartment in September 2016. I stayed a whole month in the apartment. 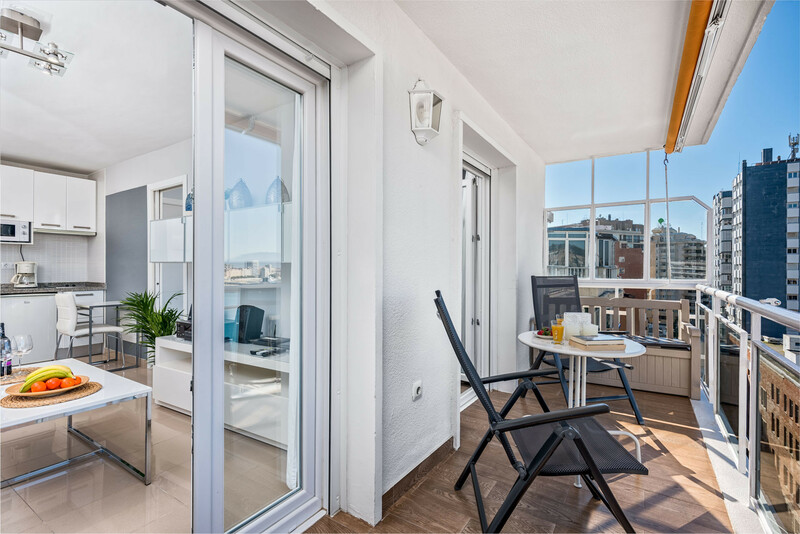 The apartment is very nice, clean and modern and the views from the big balcony are beautiful, I spent a lot of time there watching the harbor and Muelle Uno. The location is excellent, close to everything, the old town, beaches and many nice restaurants. Even the airport bus stops near by. The only downside was some noise coming from the harbor, where the Trasmediterranean ships anchor as they come in nearly every morning at 6 a.m. and stay till afternoon and never stop the engines. We' ll book this small gem again. The apartment just looks like in the pictures. It is small but has everything you need. 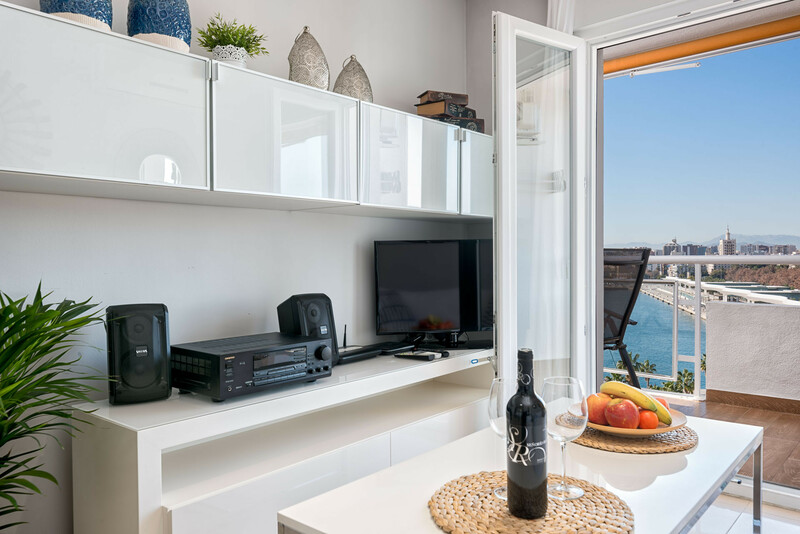 Top 5 of things we liked about the apartment: excellent bed, modern interior, clean, spectacular views, location near the beach and the harbour and at 10 walking minutes from Piazza Marina. 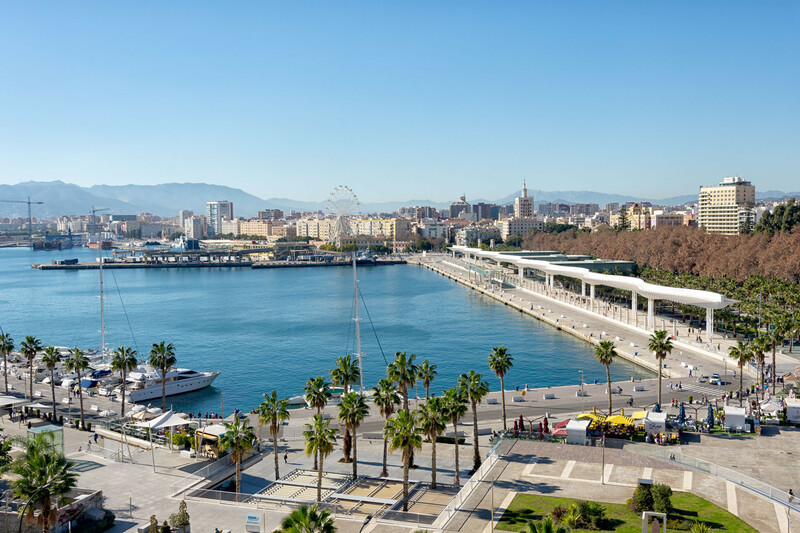 If you stay in Malaga, you don' t need a car: easy bus transportation from airport, busses to Nerja and other places for excursions. If you decide to hire a car anyway, book the parking space with the apartment (15 Euro/day). There is no free parking in the area and a parking spot in a parking costs 25 Euro/ 24 h. Next time we travel to Malaga, we' ll book this small gem again. We stayed at the Susana for 18 days and enjoyed every moment The apartment was lovely, clean and very tastefully decorated. The view from the spacious balcony was breathtaking any time of daynight The location is excellent, close to all the sights and to the center of town and the beach. We felt very comfortable there and hated to leave......we will be back for sure. Susana is a lovely person to deal with. Stayed in Susana April 2016 for 2 weeks. Lovely clean apartment in a good,secure and clean building. The views from the balcony were just amazing and really made the apartment special for us. The apartment is very small but fine for a onetwo week holiday and it's very well equipped. I think the only room for improvement is the frying pans ! Definitely well past their best. Overall a very nice apartment in a great location and a good experience with Solaga. Everything was as described and planned. I would certainly use this company again in the future. Good HomePage, all we need. The apartment was exactly as good as promised. (Susana). Clean, new and a good bed. Lovely balcon. Close to the harbour, beach and towncenter. We will really like to stay there again. Las bellas vistas de Málaga desde el apartamento. Excelente la limpieza, muy buena atención a la llegada, bien dotada de los elementos necesarios para vivir y comodidad suficiente. Todo como para volver. Muy, muy bueno!!! I really can recommend!!! Very nice and modern apartment, and the location excellent. Todos cosas maravillosa!!!! !